Like the title suggests, this piece for Tuba Quartet (EETT) is exciting and would be a great opener for a concert. There is extensive passing of lines and is best suited for a college ensemble. 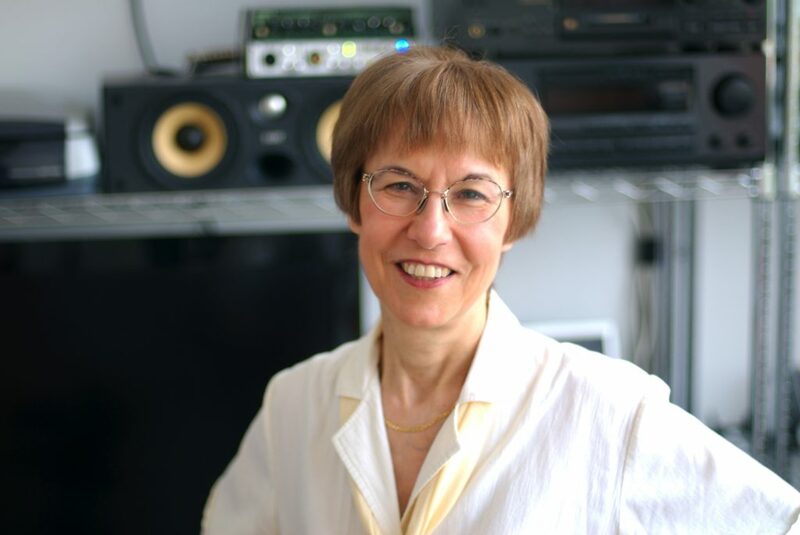 Elizabeth Raum has had a career in music that has spanned over 45 years beginning in Halifax where she played principal oboe with the Atlantic Symphony Orchestra before coming to Regina when her husband was offered a position in the Music Department of the University of Regina in 1975. She joined the Regina Symphony Orchestra at that time and from 1986 until her retirement in 2010, played principal oboe as a member of the Chamber Players. Raum has established herself as one of Canada’s most eminent composers with commissions coming from such important performing groups as the Royal Winnipeg Ballet, St. Lawrence String Quartet, Symphony Nova Scotia, the Calgary Philharmonic, the CBC, the Hannaford Street Silver Band, Ottawa International Chamber Music Festival, Music Toronto, Concours de Musique du Canada, Scotia Festival, Eckhardt-Gramattee National Competition, Thunder Bay Symphony Orchestra, Saskatoon Symphony Orchestra, Regina Symphony Orchestra, Maritime Concert Opera, as well as many other performing organizations and individuals. Her music is played all over the world in concerts and festivals throughout Canada, the US, Europe including Rome, England, Portugal, Switzerland, Germany, Hungary, Russia, China and Japan. She has also been the featured composer for the James Madison University New Music Festival in Virginia, the Colours of Music Festival in Barrie, Ontario, the International Women’s Brass Conference in Toronto, and International Tuba Conferences in Budapest, Minnesota, and Regina. She was awarded the Canadian Composer Award by the Canadian Band Association, has three times received the award for Best Musical Score by the Saskatchewan Film and Video Showcase Awards and won in the Best Classical Composition category for the Western Canadian Music Awards as well as being nominated in the same class two additional times. She has also been presented with the Commemorative Medal for the Centennial of Saskatchewan and the 125th Anniversary of the Confederation of Canada medal and in 2010 received the Saskatchewan Order of Merit. In 2004 she was given an Honorary Doctorate in Humane Letters From Mt. St. Vincent University in Halifax Nova Scotia. She received a commission from the Maritime Concert Opera, supported by the Ontario Arts Council, to write a full length opera, Time of Trouble, which was premiered by Opera Nova Scotia in December, 2016 and received a full production by Opera Nova Scotia the following year. Her three other operas, The Final Bid, The Garden of Alice, and Eos: The Dream of Nicholas Flood Davin were all recorded by the CBC. An extremely prolific composer, her works include 4 operas, over 80 chamber pieces, 18 vocal works, choral works including an oratorio, several ballets, concerti and major orchestral works. She enjoys a reputation of being one of Canada’s most ”accessible“ composers, writing for varied mediums and in remarkably diverse styles.